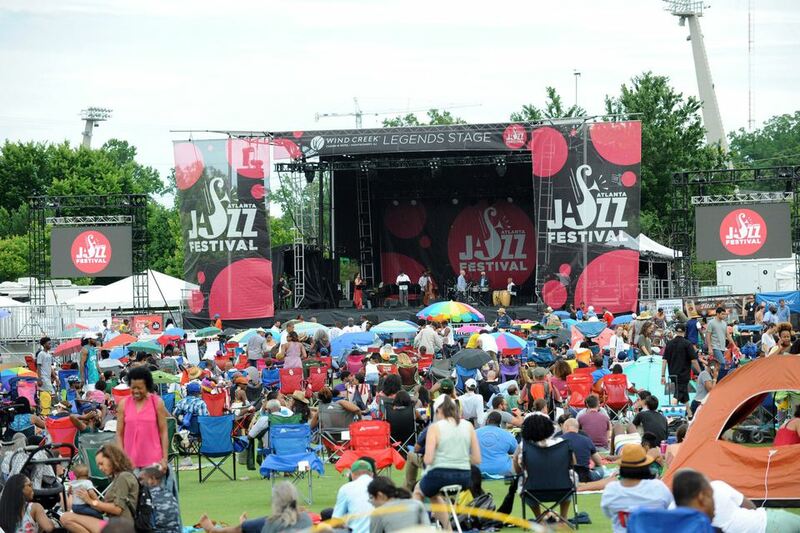 Atlanta Jazz Festival has been a long standing tradition, and it's one of the largest free jazz festivals in the country. The three-day festival features both talented local artists and world-renowned musicians. This annual event is brought to you by the City of Atlanta Mayor’s Office of Cultural Affairs. The Atlanta Jazz Festival always takes place over Memorial Day Weekend, with live music Friday, Saturday and Sunday. The best part about this festival is that it's totally free! Bask in the sun in beautiful Piedmont Park as you enjoy jazz on three different stages. Friday, May 23: Music starts on the Main Stage at 5 p.m. and the final act takes the stage at 9 p.m.
Saturday, May 24 & Sunday, May 25: Each day music kicks off on the Locals stage at 12:30 and on the Main Stage at 1 p.m. The last set begins at 9 p.m. on the Main Stage. For festivals in Piedmont Park, most Atlantans have probably learned by now that Marta is the way to go. It's a short walk from the Midtown station, and you can avoid the hassle of traffic and parking. For those needing to drive, there are plenty of parking lots available in the area - including the Botanical Gardens/Piedmont Park lot which can be accessed off of Monroe or Piedmont. Uber, an alternative to taxis that allows riders to request rides via an app, is also offering first time riders a $25 discount by using “JazzATL” as your discount code. You ARE allowed to bring your own food and drinks to the festival (including alcoholic beverages, a rare treat! ), however no grilling will be allowed and please no glass containers. Food is also available for purchase. Leading up to the actual festival, Atlanta Jazz Festival host 31 Day of Jazz - a whole month of live music around the city that runs throughout May. Check out the calendar to find an upcoming event, including a series of free neighborhood jazz concerts every weekend in parks across the city. Jazz fans who attend 10 or more events have a chance to win a two night hotel stay at the W Midtown during the weekend of the festival.